Across the nation, the railroad’s "Golden Age” ended after 1920 when other modes of travel began to slowly eat away at rail's dominance. By the late 1920s, a national network of paved two-lane roads was substantially complete providing the first a real alternative to rail travel. Competition from highways continued to increase as highways and cars were improved year to year. By the 1930s, railroads were hemorrhaging and bankrupties and abandonement were common. 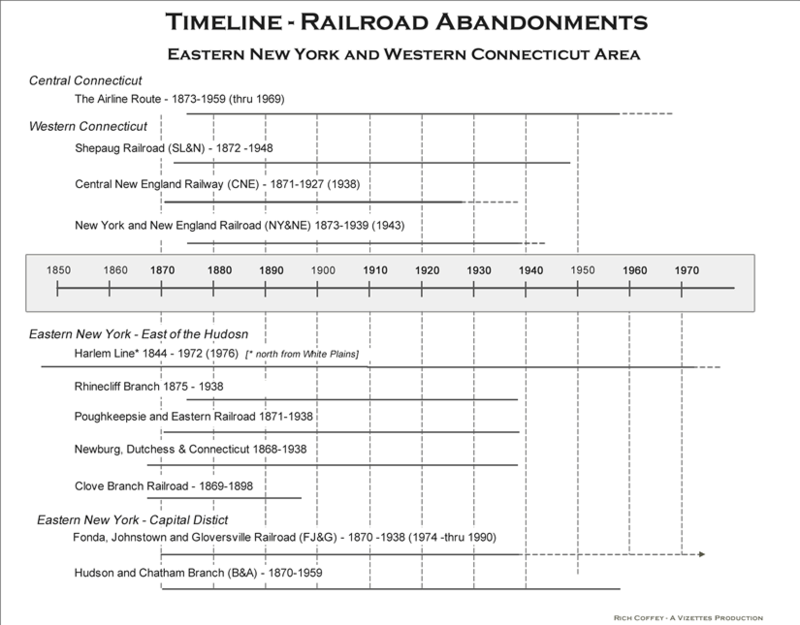 Below is timeline of railroad abandonments in eastern New York and western Connecticut [This does NOT include the interurbans].